Barcelona, 17 August, 5 PM – a white van plows with 70 km/h into a mass of pedestrians, many of them tourists, on the famous Rambla, in the heart of Barcelona. The death toll, 13 plus more than 100 injured. In an adjacent event, the police kill one alleged perpetrator. The main suspect flees and is still at large. Or is he? – Maybe he has already been killed. All the recent truck killings were carried out by white vans. Does it mean anything? Maybe not. But importantly ISIS has already claimed responsibility, through their news agency Amaq, so say the presstitute media. Does anybody other than the msm check? – Probably not. Doesn’t matter. When ISIS claims responsibilities, it puts hearts and minds at ease. The culprit has been found. It’s always the bloody Islamists-jihadists. We can rest in peace. And life goes on. Indeed, life must go on and being prepared for more and increasing terror attacks is what the Mayor of London and Mr. Macron, the novice French President, already predicted. They must know a thing or two we don’t. OK, let’s brace ourselves. Much else we can’t do anyway – or can we? The French head of the conservative Republican Party, François Fillon, a losing contender of the recent Presidential elections, said with regards to the French tourists who died in the Barcelona attack: “We must assume our responsibility…” referring to the fact that he was not elected President – as he, Monsieur Fillon, would have done away with this Islamist terror. How low-low can you sink? There are no words, no comments. Fortunately, the chief perpetrator leaves, as usual and conveniently, a passport behind in the cabin of the white van. So, he can be traced to Melilla, a Spanish exclave in Morocco. In a related event, in a small town, Alcanar, some 250 km south of Barcelona, where on Wednesday night – well before the deadly Rambla run, a massive explosion took place in a residency, leaving one person dead and 7 insured. One person was arrested by police. One of the injured persons was suspected to be the driver of the white Rambla van. In the early morning hours of Friday, hours after the Barcelona van-ram in the beach town of Cambrils, some 120 km south of Barcelona, another van runs a police barricade, attempting to embark on a similar terror attack against a tourist-packed pedestrian strip. Apparently one pedestrian was killed. The police however, so the ‘news’, killed all five alleged terrorists in the van. The police now say they suspect one of them was the driver of the white van that rammed the Rambla. Dead men can’t talk. All has – sadly but predictably – the putrefied smell of another false flag. And the ‘system’, the deep-deep dark state, again, gets away with it. 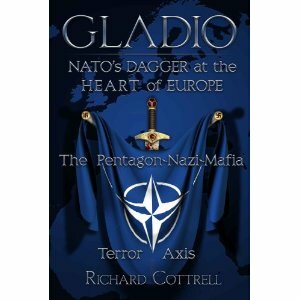 In his 2005 book, “NATO’s Secret Armies:Operation Gladio and Terrorism in Western Europe,” Daniel Ganser accused the US and their NATO allies of using Gladio, a decades long campaign of false flag terror Attacks directed by Western Intelligence agencies that were responsible for the murder of hundreds of innocent civilians. They attacked train stations, cafes, supermarkets and offices. According to captured Gladio agent Vincenzo Vinciguerra, units in Italy, in cooperation with the CIA and NATO, were responsible for murderous terrorist attacks against the Italian people. Gladio was set up after WWII as a clandestine group of operatives that were to be activated in the event of a Soviet invasion of Europe. 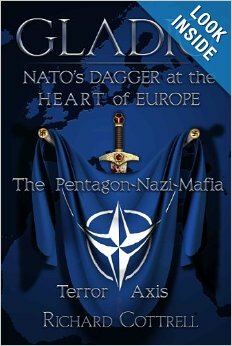 Their plan quickly evolved into a program of political repression and manipulation directed by NATO and the CIA. What could go wrong? For decades Gladio carried out widespread terrorist attacks, assassinations and electoral subversion in democratic states such as Italy, France and West Germany, but were portrayed to the public as Communist or Left Wing terror attacks. Thanks to corrupt media disinformation and lies, the facts of this operation have been kept hidden from the public. One week after the attack on a Christmas market in Berlin, there is a growing chorus of demands for a massive strengthening of the state apparatus, the elimination of basic democratic rights, and the erection of new barriers against refugees. At its upcoming congress at the start of January, the Bavarian-based Christian Social Union (CSU), part of the coalition government headed by its sister party, the Christian Democratic Union (CDU), plans to call for more personnel and better equipment for the security services, additional powers for law enforcement, more monitoring of emails and communications services such as Whatsapp and Skype, and increased data exchanges between the European Union countries. This is despite the fact that the Berlin attack cannot be attributed to a lack of surveillance or police powers granted to the security and judicial authorities. On the contrary, the alleged perpetrator, Anis Amri, prepared his action literally under the eyes of the authorities. It has now emerged that the 24-year-old Tunisian was driven to Berlin by an undercover informant of the Intelligence Service (“Verfassungsschutz”), which closely monitored Amri for months before he drove a large truck into a crowd on December 19. Former DIA Chief Michael Flynn likens the fight against Islamic militants to the Cold War and calls for an international chain of command akin to that of the Allies in World War II. The former head of the Defense Intelligence Agency slammed the Obama administration on Monday as “well intentioned” but paralyzed and playing defense in its the fight against Islamic militancy. Islam Vs The West – Has A Neo-‘Operation Gladio’ Been Started? See my commentary down below. We’ve been writing regularly about the meme of “evil Islam” and our perspective that it is propaganda – a dominant social theme – intended to create military tension, further authoritarianism and even, eventually, wider wars setting the West against Islam. You can see our articles HERE and HERE And HERE too. The lie is that Islam of itself is a terrible threat to the French – and Western – way of life. The lies are propagated by a tiny group of people who organize fallacious themes that then become Western policy. Global warming, the economics of central bank – and the dangers of Islam – are all examples of these themes. The lies are regularly expanded and deepened. Read moreIslam Vs The West – Has A Neo-‘Operation Gladio’ Been Started? Was Brussels a false flag terror attack that has been blamed on ISIS by Europe, the US, and Israel? We explore the familiar playbook of the “terrorists” in Belgium, connect the dots with Paris, 9/11, and Operation Gladio in this uncensored discussion with Sibel Edmonds and Kevin Barrett. How has the target on Syria and Assad allowed for acceptable civilian casualties in Europe, and what threat does ISIS really hold? Enter the Buzzsaw with Sean Stone and find out. Sibel Edmonds is editor and publisher of Boiling Frogs Post, founder and president of the National Security Whistleblowers Coalition (NSWBC), and author of the acclaimed book Classified Woman: The Sibel Edmonds Story, and a Political Spy Thriller, The Lone Gladio. She has appeared on national radio and TV as a commentator on matters related to whistleblowers, national security, and excessive secrecy & classification, and has been featured on CBS 60 Minutes, CNN, MSNBC, NPR, and in the New York Times, Washington Post, Vanity Fair, The American Conservative, and others. Kevin Barrett is the author of Questioning the War on Terror: A Primer for Obama Voters; Truth Jihad; A Guide to Mysterious San Francisco; and editor of 9/11 and American Empire v.2, and has taught Arabic, Islamic Studies, French, American Civilization and others subjects. Widely regarded as the world’s leading Muslim 9/11 truth activist (for what that’s worth) he spent 2006-2008 as the only talk show host featured on all three leading patriot radio networks (GCN, RBN, and WTPRN). Garrett ran for Congress in Wisconsin’s 3rd District in 2008. Originally aired on BBC2 in 1992, ‘Operation Gladio’ reveals ‘Gladio’, the secret state-sponsored terror network operating in Europe. This BBC series is about a far-right secret army, operated by the CIA and MI6 through NATO, which killed hundreds of innocent Europeans and attempted to blame the deaths on Baader Meinhof, Red Brigades and other left wing groups. Known as ‘stay-behinds’ these armies were given access to military equipment which was supposed to be used for sabotage after a Soviet invasion. Instead it was used in massacres across mainland Europe as part of a CIA Strategy of Tension. Gladio killing sprees in Belgium and Italy were carried out for the purpose of frightening the national political classes into adopting U.S. policies. PARIS ATTACK CONSPIRACY, INSIDE JOB, PSY-OP. Now that is a looong article. In the early morning of 18 November 2015, French special forces, aided by a dog called Diesel, raided a building in Paris. The building was where the alleged Paris Attacks mastermind Abdelhamid Abaaoud was said to be hiding. The special forces killed Diesel, and, wounded various innocent neighbours. The authorities at first claimed that Diesel had been killed by a female suicide bomber. This was later shown to have been incorrect as there was no female bomber. 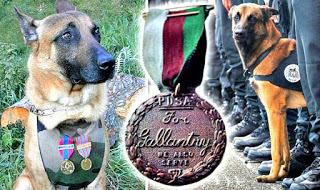 The French police have confirmed that the hero dog Diesel was shot by the special forces. Read morePARIS ATTACK CONSPIRACY, INSIDE JOB, PSY-OP. Dr. Paul Craig Roberts was Assistant Secretary of the Treasury during President Reagan’s first term. He was Associate Editor of the Wall Street Journal. He has held numerous academic appointments, including the William E. Simon Chair, Center for Strategic and International Studies, Georgetown University, and Senior Research Fellow, Hoover Institution, Stanford University. Sibel Edmonds has just released her fantastic spy thriller, The Lone Gladio. 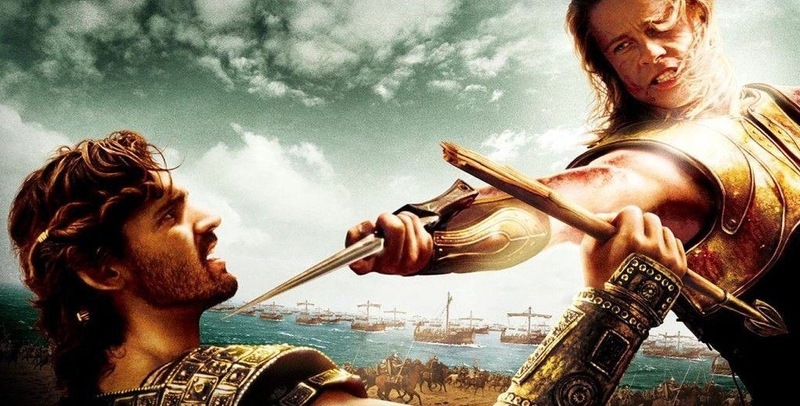 Here’s our review, comparing it to the best of Clancy or Ludlum … but with a twist. In the real world, Edmonds is a former FBI translator who translated terror-related communications for the FBI right after 9/11. In that capacity, she read communications between terrorists and other radicals. Edmonds has been deemed credible by the Department of Justice’s Inspector General, several senators (free subscription required), and a coalition of prominent conservative and liberal groups. The most gagged person in the history of the United States of America.